Below are some of my favorite pictures and videos of the layouts through the years. 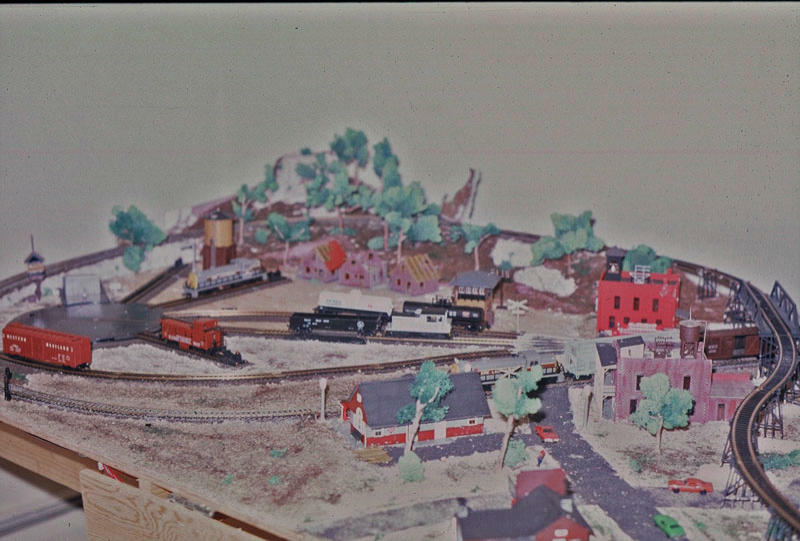 This was a layout that existed briefly in the mid 90’s in the basement of house we rented in Granger, IN. I think this may be the only picture of that layout. 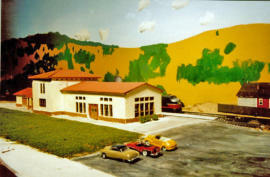 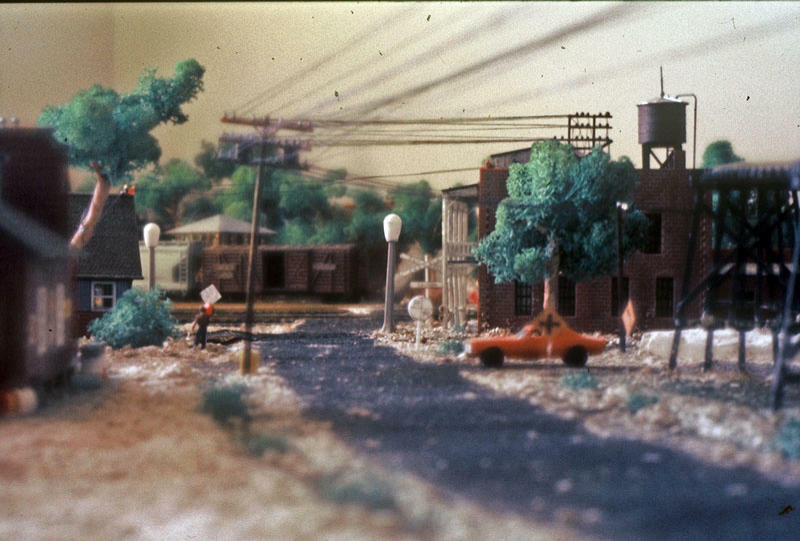 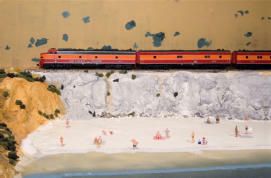 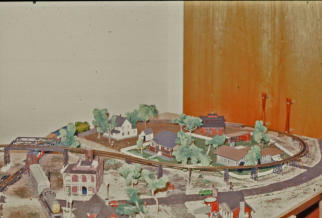 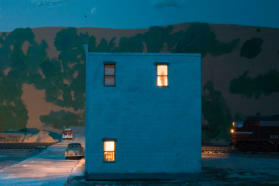 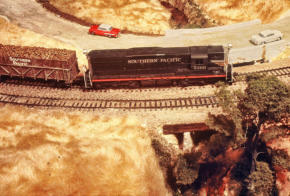 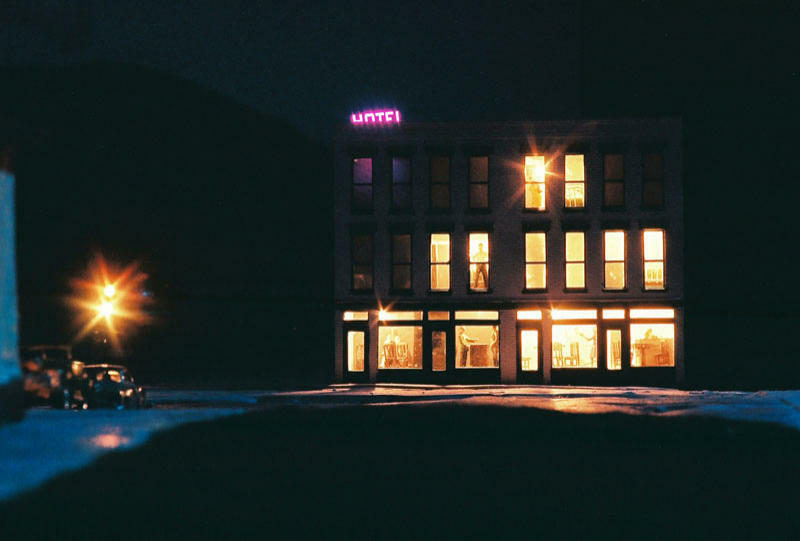 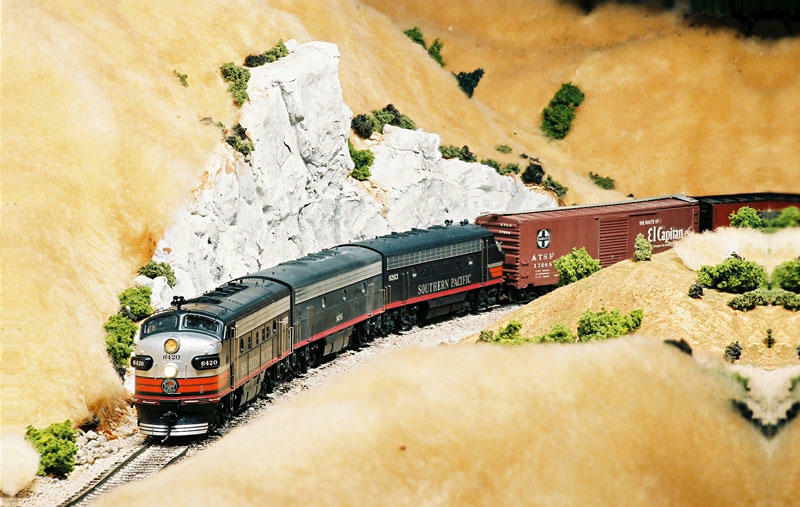 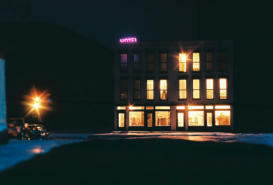 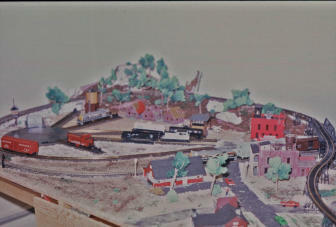 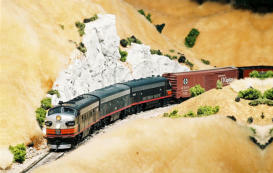 The next group of pictures were taken of the Minnesota layout. 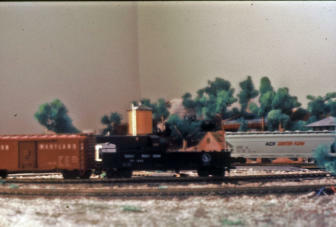 Many of them can also be found on one of the Minnesota pages. 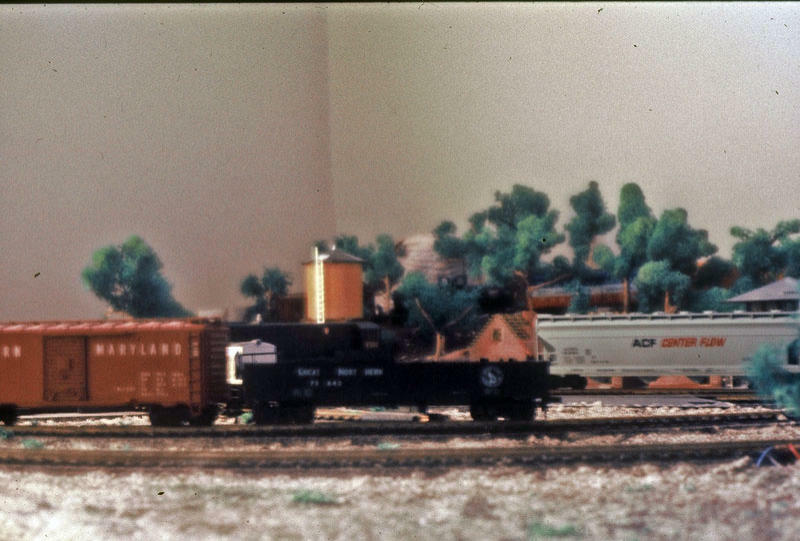 My first HO scale layout was built in the winter of 1973. 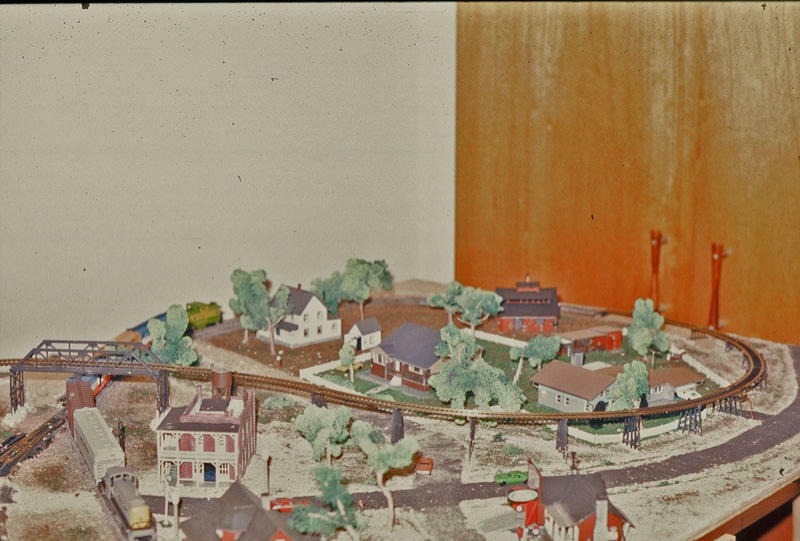 We had just moved to a two bedroom apartment in Newport, Rhode Island and for Bryan’s first Christmas we got him this HO train set. We built a table in his bedroom and in the space of a few months went from bare plywood to what you see here, which gives you an idea about the entertainment options in a Newport winter.